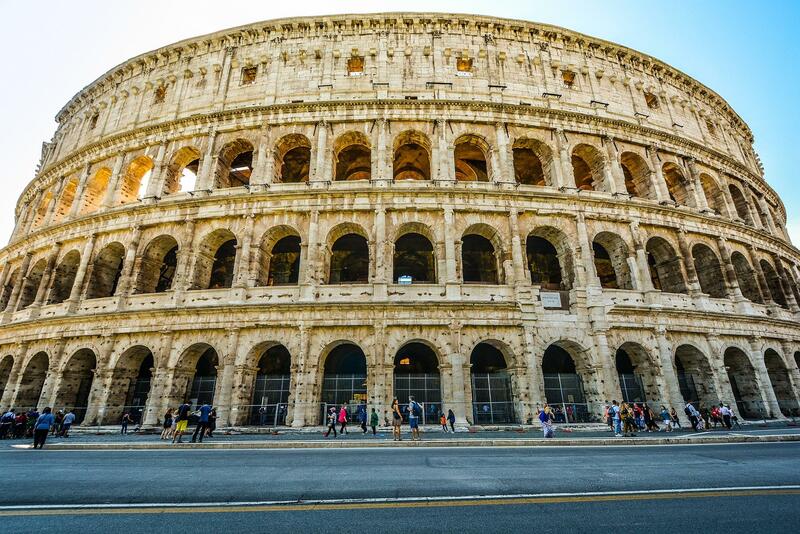 Famous fountains, glorious coliseums and astonishing architectural structures are just a few of many sights and activities for student groups to explore when visiting Rome. For a city as historically, religiously and architecturally significant and large as Rome, planning a student group trip for newcomers or those inexperienced with the Eternal City could cause a major headache. What will indisputably make planning easier is determining the more popular or “must-see” attractions first. Once the most important sights to visit are determined and researched, your student group will have a better idea of the layout of the city and where to look in terms of dining options, accommodations and up and coming sights and attractions. Here are our top five picks for sights and activities in Rome for student groups. 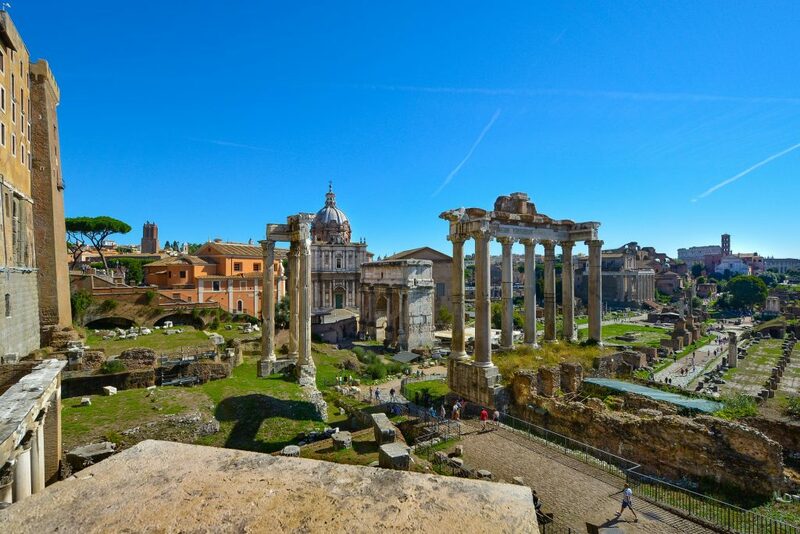 For centuries, the Roman Forum (Foro Romano) served as the center for day-to-day life in Rome. Statues and monuments commemorate the city’s great men throughout the plaza; it has been called the most celebrated meeting place in the world, and in all history. The Roman Forum has served as the site for historical processions and elections, public speeches, criminal trials, gladiatorial matches and commercial affairs. Located between Palatine and Capitoline Hills, the Forum attracts approximately four and a half million visitors per year, and was home to some of the oldest and most important structures of the ancient city. While many of the Forum’s monuments have diminished over time, many of its structures remain, including the Temple of Castor and Pollux, Temple of the Deified Caesar and Mamertine Prison. Student groups can book their tickets online, but should be aware that there is a 2€ reservation fee for online bookings. Students under the age of 18 are allowed free entrance on the first Sunday of each month. Rome has been the center of attention through various modes of popular culture, especially within Hollywood film. One of the more recent Hollywood depictions of Rome during the Greek Dark Ages is in Ridley Scott’s Gladiator. This award-winning film portrays scenes of Rome’s renowned Colosseum, the largest amphitheater ever built and Italy’s most visited monument. Originally known as the Flavian Amphitheatre, the Colosseum is estimated to hold between 50,000 and 80,000 spectators, and was used historically for gladiatorial contests, reenactments of famous battles and dramas based on classical mythology. Located east of the Roman Forum, the massive stone amphitheater was given its original name around A.D. 70-72 after its commission by Emperor Vespasian of the Flavian Dynasty as a gift to the Roman people. Because of its worldwide popularity, the Colosseum can be extremely crowded during summer months due to high tourist season. It is recommended for student groups to book in advance online, or buy tickets through offices at Palatine Hill, Arco di Tito or the Roman Forum. Booking tickets at any of these ticket offices will ensure shorter queues. Serving as the headquarters for the Roman Catholic Church, Vatican City (Città del Vaticano) is a city-state surrounded by Rome and home to the Pope and an accretion of iconic art and architecture. 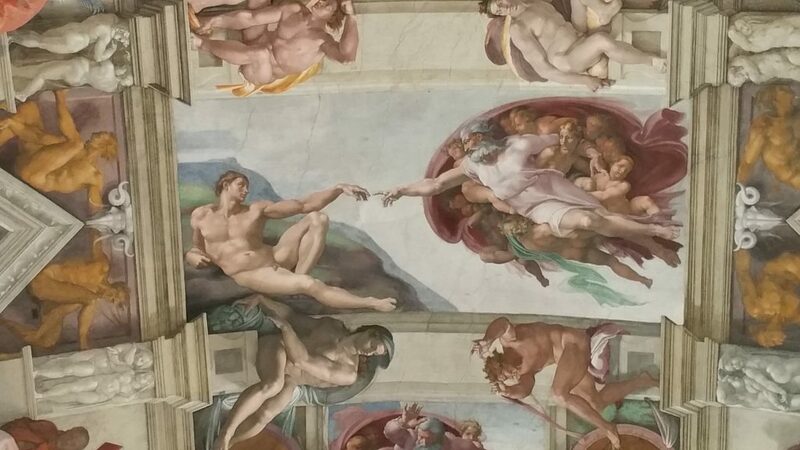 Vatican City houses Sistine Chapel, the official residence of the Pope and notably recognized for its ceiling painted by Michelangelo, a keystone work of High Renaissance art. Located within the city boundaries of Vatican City, the Vatican Museums are Christian and art museums that serve as an an ideal educational experience for traveling student groups. Some of the Vatican Museums’ most famous sculptures and paintings include Laocoön and His Sons, Apollo Belvedere, Transfiguration and Leonardo da Vinci’s St. Jerome in the Wilderness. An Italian Renaissance church in Vatican City, St. Peter’s Basilica (Basilica Papale di San Pietro) is deemed the most renowned work of Renaissance architecture and the largest church in the world. Saint Peter, chief among Jesus’s Apostles and the first Bishop of Rome, is said to be buried at the Basilica with his tomb directly below the high altar of the church. When visiting Vatican City, there are certain attractions that limit the amount of people allowed in one group, so it’s best to book large student groups ahead of time. What makes the Pantheon such a great wonder are all the details that still remain unknown about this baffling architectural structure of the great Roman Empire. To this day, the exact date of construction and composition of the material it took to build the Pantheon is still a mystery. Despite what remains unknown, there are a few things that are certain. The building was originally built as a temple to all gods, hence the word “pantheon” meaning “honor all gods” in Greek. History has it that when Michelangelo first laid eyes on the wondrous building, he said it looked more like the work of angels, not humans. 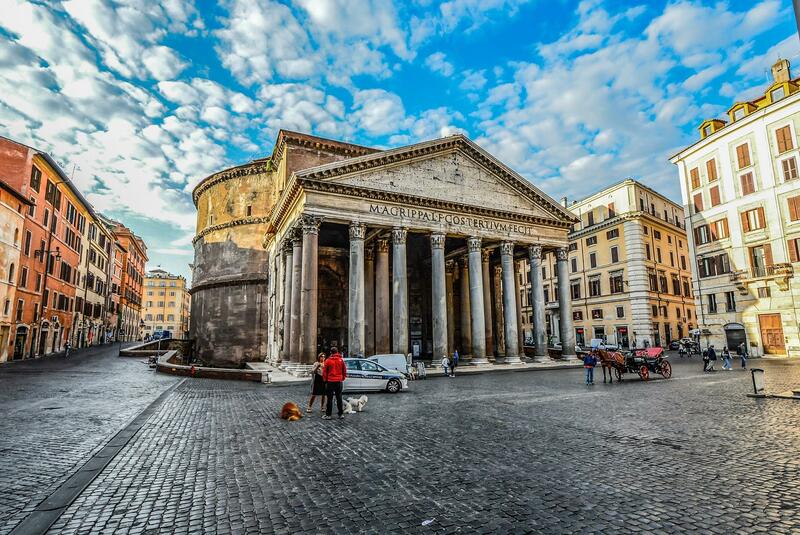 The Pantheon is one of the best preserved Ancient Roman structures and managed to survive barbarian raids that inevitably destroyed most other Roman monuments. When student groups visit the Pantheon, they can gaze upon the largest unsupported dome in the world with a 142-foot diameter. Outside its doors sits the breathtaking Fountain of the Pantheon (Fontana del Pantheon), a stunning marble fountain where student groups can sit and take in the fresh Italian air, while listening to street musicians perform classical compositions. A trip to Rome wouldn’t be complete without a visit to Trevi Fountain (Fontana de Trevi). Featured in several films such as La Dolce Vita, Roman Holiday, Three Coins in the Fountain and even the Olsen twins’ When in Rome, Trevi Fountain attracts millions of visitors per year who flock to the famous sight to throw a coin in and make an everlasting wish. But be sure to keep an eye on student groups! Taking a coin from the fountain is a crime in the Eternal City. Built from travertine stone, the same stone that built the Colosseum, Trevi Fountain was designed by Italian architect Nicola Salvi and completed by Pietro Bracci. 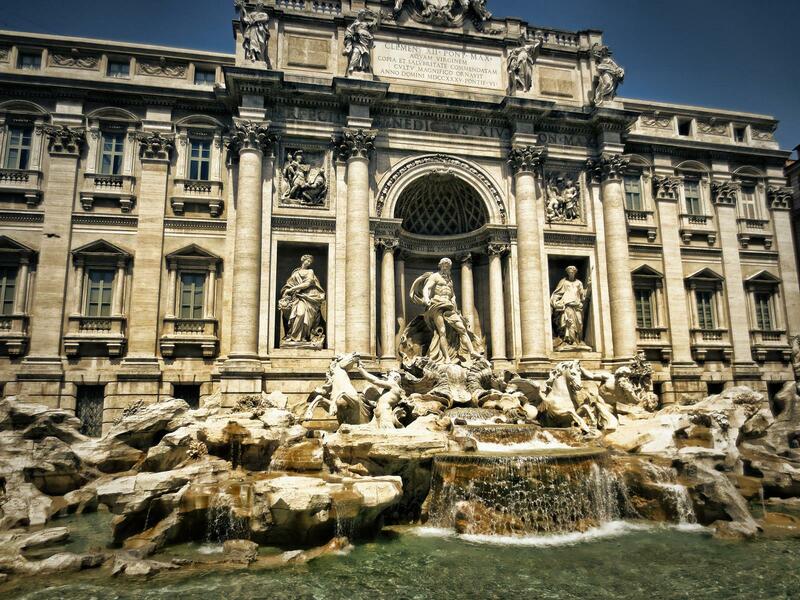 It is the largest Baroque fountain in Rome and one of the most famous fountains in the world. Students can enjoy throwing a coin into Trevi Fountain with their right hand over their left shoulder for a guarantee that they’ll one day return to Rome. Based on the film Three Coins in the Fountain, tradition now says that a second coin thrown will lead to a new romance and a third will lead to marriage. Whether or not student groups are convinced by this urban legend, they will undeniably enjoy a visit to Rome’s most celebrated fountain.